Remove the throttle body assembly. Refer to Throttle Body Assembly Replacement. Disconnect the pipes from the evaporative emission canister purge solenoid valve (1). Remove the evaporative emission canister purge solenoid valve (1) and the rubber mounting from the intake manifold (2). Disconnect and reposition the electrical connectors as necessary. Remove the fuel injector rail. Refer to Fuel Injector Replacement. Remove the manifold absolute pressure sensor. Refer to Manifold Absolute Pressure Sensor Replacement. Disconnect the booster vacuum pipe (1) from the intake manifold. Remove the front wheel drive shaft right side. Refer to Front Wheel Drive Shaft Replacement. Remove the starter. Refer to Starter Replacement. 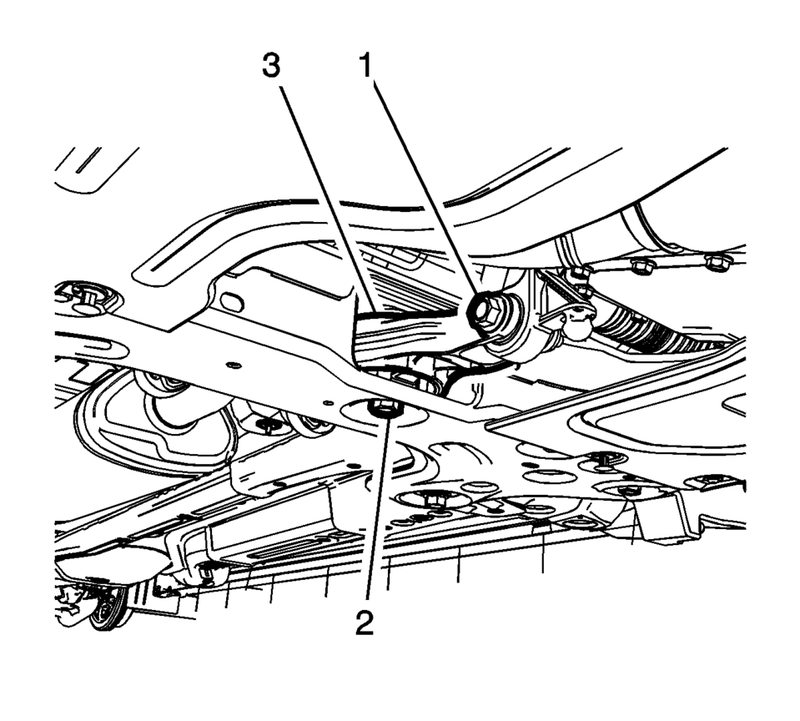 Remove and DISCARD the transmission rear mount to bracket through bolt (1). 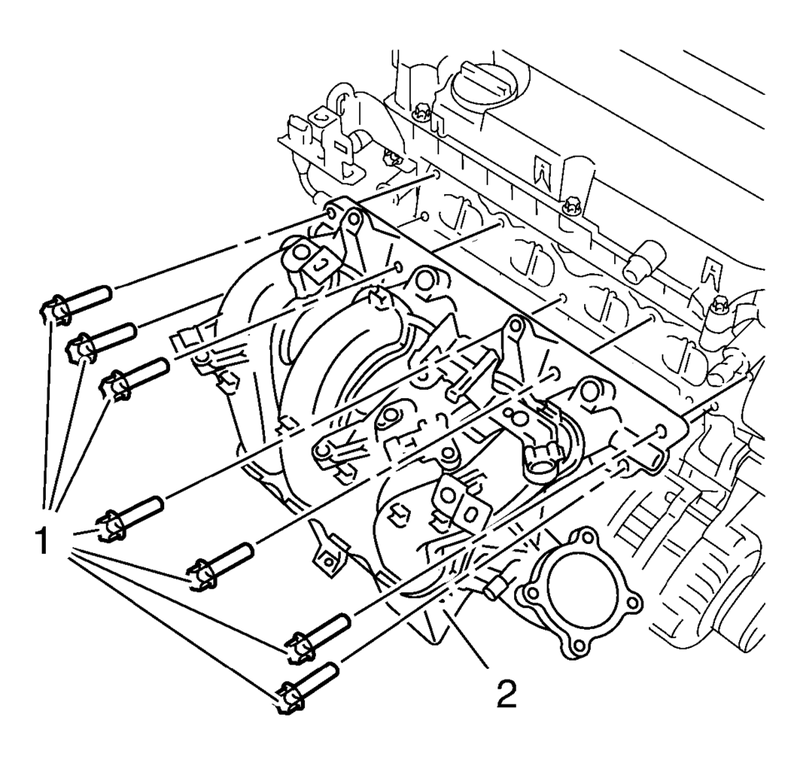 Remove the intake manifold bolts (1). Clean and inspect the intake manifold. 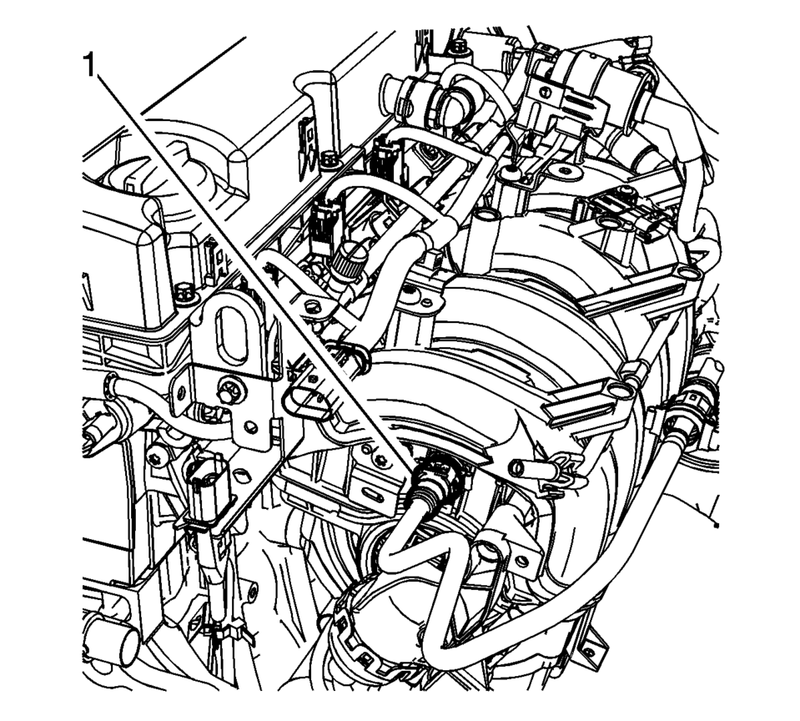 Refer to Intake Manifold Cleaning and Inspection. Install the generator. Refer to Generator Replacement. Install the front wheel drive shaft right side. Refer to Front Wheel Drive Shaft Replacement. Connect the booster vacuum pipe (1) to the intake manifold. Install the manifold absolute pressure sensor. Refer to Manifold Absolute Pressure Sensor Replacement. Connect the electrical connectors as necessary. Install the fuel injector rail. Refer to Fuel Injector Replacement. 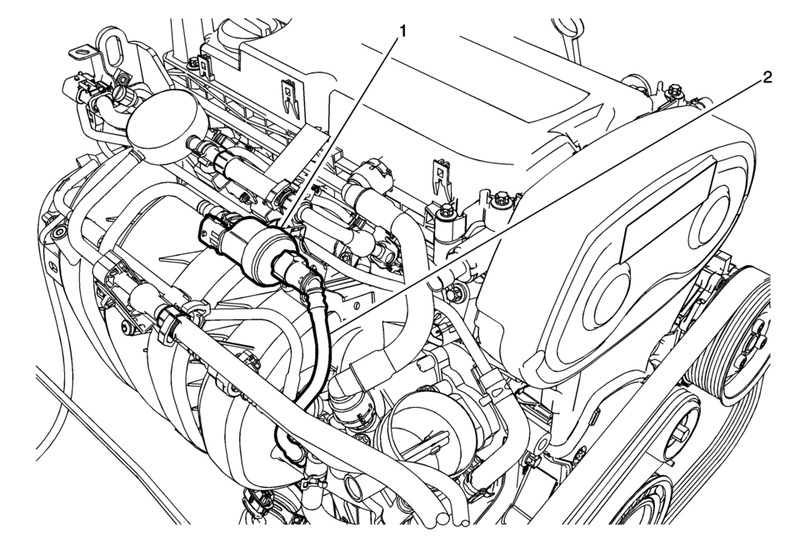 Install the evaporative emission canister purge solenoid valve (1) and the rubber mounting to the intake manifold (2). Connect the pipes to the evaporative emission canister purge solenoid valve (1). Connect wiring harness as necessary. Install the throttle body assembly. Refer to Throttle Body Assembly Replacement.